Parker Knoll patented “tension suspension sprung system"
The Froxfield collection by Parker Knoll has the graceful lines, elegant design and unique proportions to compliment any room in your home, from the bedroom to the hallway. It is the perfect canvas to create our individual style and statement with Parker Knoll’s exciting collection of classical and contemporary fabrics. 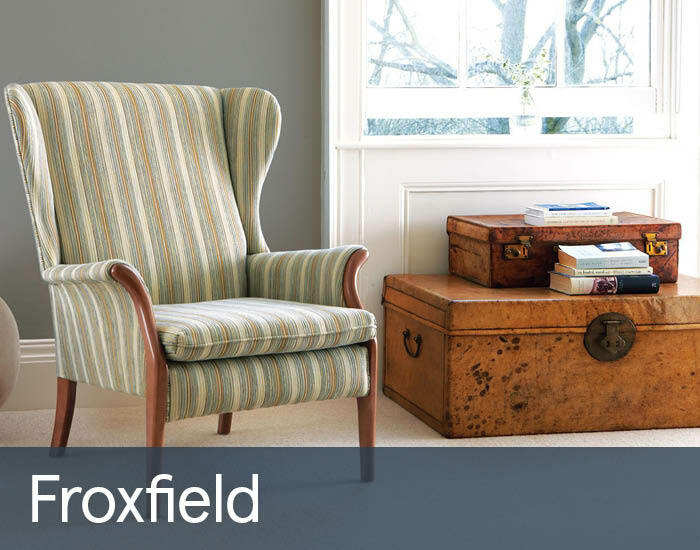 The options of a wing chair, side chair or swivel chair with matching 2 seater sofa mean that Froxfield can be configured for any size of room.